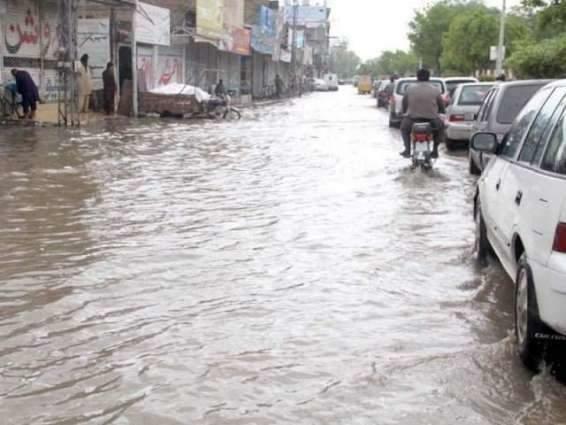 BAHAWALPUR, (UrduPoint / Pakistan Point News - 16th Apr, 2019 ) :Bahawalpur and its adjoining areas received heavy rain on Tuesday that continued lashing for several hours. The rain started in the morning and continued all the day with a thunderstorm. The rain turned the weather pleasant. The temperature that had reached 42 degree centigrade during last week, dropped down to 18 degree centigrade. Cholistan also received rain where water has been accumulated in Tobas and Kunds (water reservoirs).